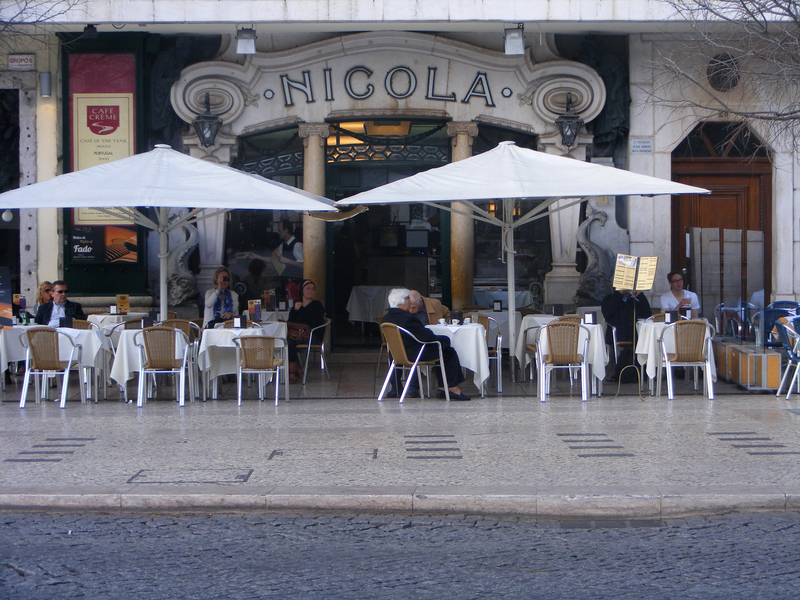 Café Nicola … doing it all? I’ll say. Mostly I’d sit outside and enjoy the food, the service and the passing traffic (human, vehicular and policemen with segway legs *snicker*). Now and again something spectacular would happen, like the one involving two pigeons, a neighbouring diners plate and a whole lotta trouble. Apparently He Pigeon objected to She Pigeon grabbing at a piece of Bola de Berlim. Man you should have seen the feathers fly. Memories. Thanks for evoking a few of mine. The reviews are not so good lately, but it’s not always easy to judge and there’s a lot of competition in Lisbon. It depends on what you’re looking for. It is not a great place to eat. But it is very enjoyable to have coffee in the esplanade and see the world go by.